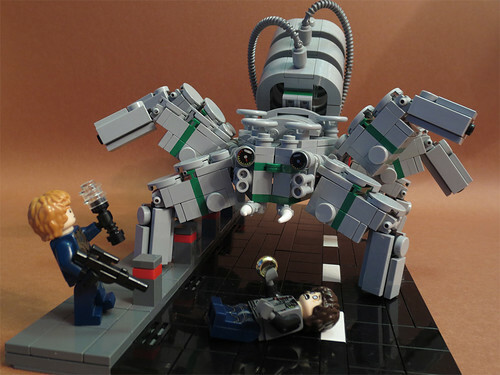 You may have thunk it impossible, but there is something more terrifying than a fourteen foot spider, a fourteen foot mechanical spider. Luckily Sam's packing heat, so everything should work out ok. This alternate non-reality mashup brought to you by the tears of children, and crises_crs.